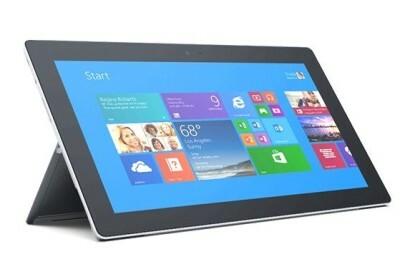 Microsoft has officially announced the Surface Pro 2 and Surface-2 tablet today. 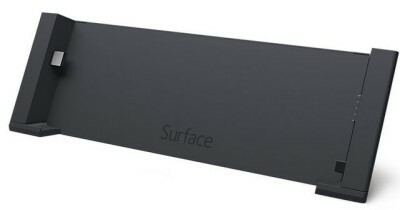 The surface 2 is the updated version of Surface RT. It runs on Tegra 4 Quad Core Processor. It comes with 10.6 inch Full HD display , 3.5MP front and rear facing camera. It features USB 3.0, Bluetooth 4.0 and MicroSD card slot (64GB). It runs on Windows RT 8.1 with office Home student 2013 and outlook 2013 RT. It is priced at $449 for the base version 32GB (16GB available) . The tablet has improved battery backup of 10 hours and cameras are better old ones, says Microsoft. The Surface Pro 2 is powered by Intel core i5 processor ( Haswell) integrated with 4 / 8GB of RAM. It comes with 64-512GB of SSD storage. Microsoft claims the improvement of about 75 percent on battery. It also features USB 3.0 , BT 4.0, Video out and Micro SD card slot up to 64GB in case you want to expand the memory. It has 10.6inch Full HD 1080p Clear type display and comes with stylus . It runs on Windows 8.1 PRO and it icludes 200GB SkyDrive storage for 2years and 1year of free Skype . The Microsoft Surface Pro 2 is priced at $899. It would hit the Indian market in 2014. A Surface Dock Station was also introduced which adds numbers of additional ports which makes the tablet more approachable and enjoyable.